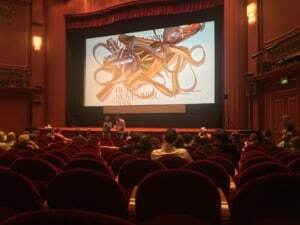 It is day two of #TIFF59 and today, I saw “The Rainbow Experiment” by Christina Kallas and “Chained for Life” by Aaron Schimberg. 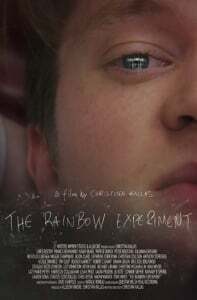 The first film I saw today was “The Rainbow Experiment” by Christina Kallas and I was pleasantly surprised! The film is a nice character study of 36 different people, most of them high school students at a public school in New York City and how they deal with a tragic accident involving one of their classmates. I think it is the first Drama Film set in a High School which I actually liked. The acting (especially from the young actors) was phenomenal and I loved Stratos Tzortzoglou’s character, It gave the film a nice greek twist. If I had to describe the film in one word, it would be “human”. All of the characters felt grounded in reality, there was no unnecessary drama and the film had a touch of realness to it which I really enjoyed. Overall, I really recommend this film and If you have the chance to see it, go check it out! Next up was “Chained for Life” by Aaron Schimberg. Even though the film was off to a bizarre start (and an even more bizarre last 30 minutes). I liked this film as well. This film is about the relationship (mind you, relationship, not love story, the director said it so himself in the Q+A!) between an actress Mabel (Jess Weixler) and her physically disformed co-star Rosenthal (Adam Pearson) as they work together on a horror film set in a hospital and the film exploits how actors with physical differences are treated on film and how they are treated on set. Adam Pearson nailed it as Rosenthal and Charlie Korsmo was hilarious as the German film director. As always, stay tuned for the next film, which will probably “The Swerve” by Dean Kapsalis.